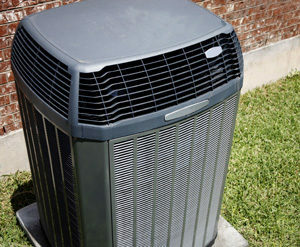 Do you need a new air conditioning system? If your home currently doesn’t have central air, or if your existing AC system is old, unreliable and costly to run, you’ve come to the right place. GeoFurnace Heating & Cooling, LLC can design and install a new air conditioning system to keep you comfortable on even the hottest days. And because we only install high-efficiency, ENERGY STAR® equipment, you can count on efficient, economical performance. It’s important NOT to take a “one-size-fits-all” approach when installing an AC system. To get the best efficiency, comfort and overall value, GeoFurnace Heating & Cooling, LLC will take the time to specify a “right-sized” air conditioning system and choose AC components that match your home’s installation requirements. Some of the most common options are explained below. Existing forced-air heating system. If your home already has a ductwork system that delivers warm air throughout the house during winter months, the same ductwork can distribute cooled air from a new central AC system. Existing forced-air heating & cooling. In this case, you already have central AC, but your old system needs to be replaced. If you plan to stay in your house, this is a smart upgrade because new ENERGY STAR® equipment can be more than twice as efficient as older equipment. No forced-air system. Since it’s difficult & expensive to install new ductwork in an existing house, you might consider having mini-split, “ductless” air conditioning installed. Each room will get a compact, wall-mounted air handler with its own wireless controller, making it easy to control temperatures in each room. Avoid the portable, window-mounted AC option if possible. It cuts off your view and your option for natural ventilation during milder weather. It’s also the noisiest option. Major renovation. A major “gut rehab” gives you the option of having new ductwork installed for a forced-air, whole-house system; or you could opt for ductless, mini-split AC. Home addition. It’s sometimes possible to extend the ductwork of an existing forced-air system to serve your new living space. Otherwise, you can enjoy the same comfort & efficiency levels by having a ductless mini-split system installed. New construction. If you’re building a new house, all options are open. Just make sure to hire an AC expert, like the pros at GeoFurnace Heating & Cooling, LLC. Learn more about cooling options with Mitsubishi Ductless Splits! Humidity plays a major role in the health, comfort, protection and energy efficiency of your home. Depending on the region, time of year and activities of the family, most homes need control over both dry air and excess humidity. Geofurnace puts indoor humidity control in your hands with whole-home humidification and dehumidification solutions. When you heat your home it dries out your air. Dry air absorbs moisture from you and everything inside your home; leading a host of negative symptoms from dry eyes to increased ​chances of cold and flu. Day-to-day activities such as breathing, cooking, and doing laundry can add nearly 25 pounds of moisture to a home each day. Basements and crawlspaces can also become damp, smelly locations when humidity is too high. Protect your family from unhealthy, uncomfortable air that also damages your home and furnishings. Take a look at our whole-home dehumidifiers and whole-home humidifiers. © 2019 Geofurnace Heating and Cooling.